The key note conference at Sony’s PlayStation experience has just finished, and now the rest of the weekend will be all about playing the games. Expectations were very high for this keynote with many differnet rumours circulating over revied IP’s, New IP’s, 3rd party games becoming exclusive. The conference didn’t disapoint at all if you went in watching with a somewhat realistic expectations. Here’s what we got over the 2 1/2 hours. Next up Sony Santa Monica took to the stage to show a trailer for MLB The Show 2015, and confirmed that they’re working on another title. 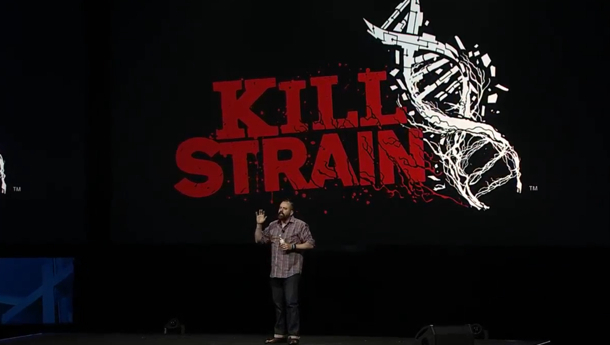 Kill Strain, Shortly after the reveal it was announced on stage it was free to play. You could hear the sighs and groans at this reveal. Next was a look at Bloodborne. We got to see gameplay of the multiplayer then another look at the trailer from last nights VideoGameAwards. Next up we’re shown the exlusive items that PS4 Destiny players will get their hands on with the ‘Dark Below’ DLC. Capcom and Street Fighter announcement followed next. It wasn’t the confirmation of Street Fighter 5, but was confirmation that Ultra Street Fighter IV was to be releaseing on PS4 as an exclusive. Although there was more to come from Capcom. Next up was the announcement of Tripwire Interactive’s Kiling Floor 2, the follow up to the 2009 PC title. Indie developers Red Hook were next to reveal that their title Darkest Dungeon would be hitting the PS4. And another title from PC is making it’s way to PS4. Endnights Games survival horror game Forest is coming to PS4. Next up some love for the PSVita as Geomatry Wars 3 is confirmed for a Vita Release. 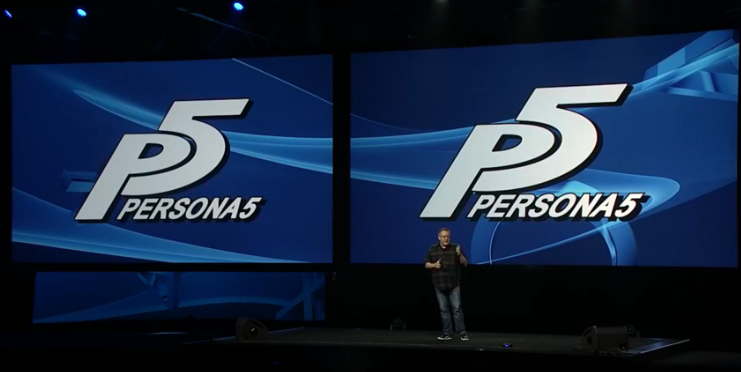 Persona 5 is coming to PS3 & PS4 finally. Another nice announcement is that Bastion will be ariving on PS4 & Vita too. The next game shown for PS4 is Orcs Must Die: Unchained. EA Are in the house, and to celebrate the 20 years of Playstation they’re offering 3 free games, which you can only get this weekend. Need For Speed: Most Wanted for Vita, Mirrors Edge for PS3 and Plants vs Zombies: Garden Warfare for PS4. Sony love indies… and indies love Sony. Here are some games coming to PS4. And the very popular Shovel Knight which last night won the best indie game of 2014. This version though features a rather popular PlayStation franchise character. Like I said above we’d not seen the last of Street Fighter. It’s confirmed to be PS4 exclusive as Sony are helping develop it. It’ll also be cross format with the PC version. PSVita would now get some love as it was confirmed that there are 7 games coming out for it next year, albeit that some of those titles are also coming to PS3 too. Broken Age, Grim Fandango Remastered & Day of the tentacle special edition will all be also coming to the PS4 & PSVita. Well we’re approaching the end of the show, and the bombs are dropping, but they aren’t the Megatons that people want. Next to the stage are Square-Enix. There’s no messing here, just a picture of the FF7 logo in the background and discussing how important the game was to Playstation. It’s not what every wanted, they wanted a HD remaster. But still, it’s not anything to sniff at. FF7 original will be on PS4 exclusively. And that was the keynote for the PlayStation Experience. A valuable lesson should have been learnt after boarding so many Nintendo Hype trains. Don’t buy a ticket.